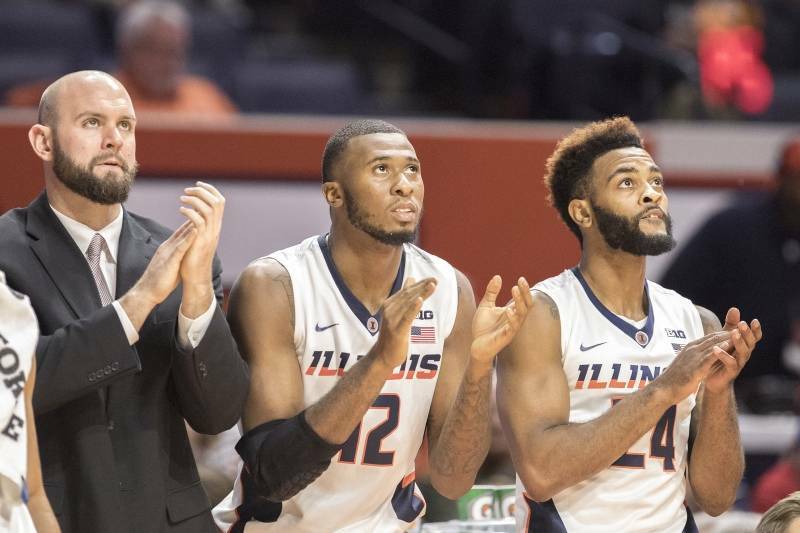 Over the holiday, Illinois picked up a pair of wins to stay a perfect 6-0 this season. 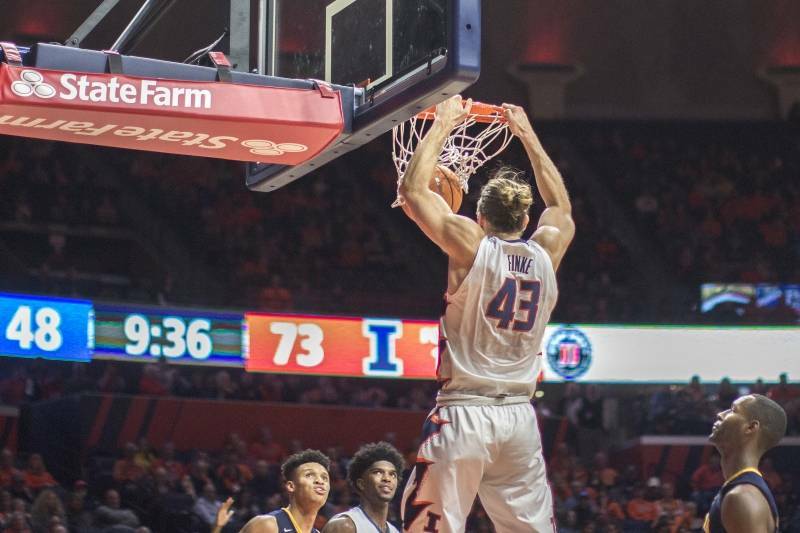 Before the rest of us gorged on turkey, the Illini dispatched D-III Augustana with ease, 96-62, with Michael Finke posting a double-double of 20 points and 10 rebounds and four other Illini reaching double digits in scoring. 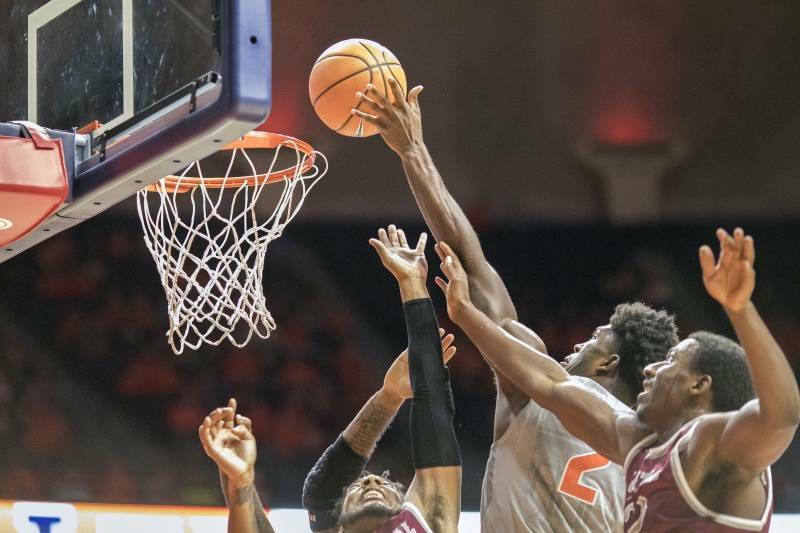 Friday’s contest was a tighter affair, blame the turkey, but Illinois managed to turn a 35-34 deficit at half into an 86-73 victory over North Carolina Central with another 22 points from Finke along with 16 from Aaron Jordan and 14 from Kipper Nichols. A perfect start to the season is laudable, but perhaps less exciting in context. The problem with the win against Augustana, of course, is the fact they play ball at the D-III level. Had Illinois actually struggled against the Vikings it would be notable, but that game was about as chalk as it goes for a team like the Illini. 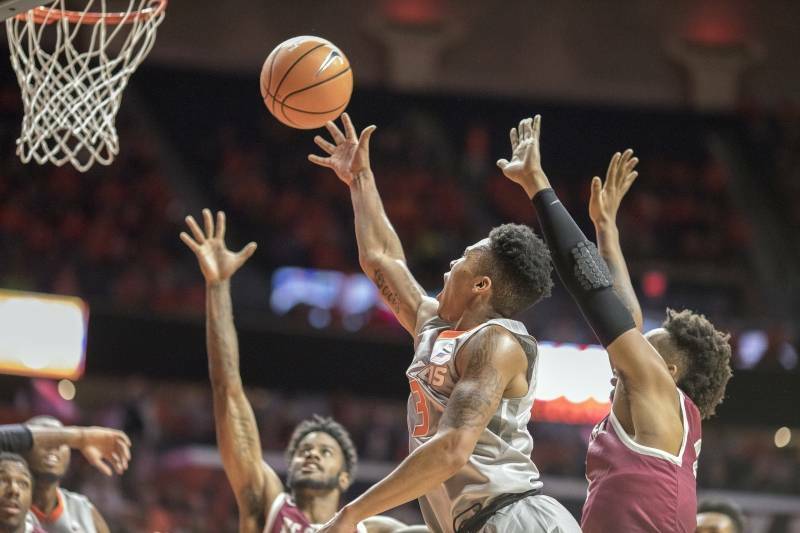 The fact NC Central (3-5) required a second-half rally -- no doubt inspired by an intense halftime talk from Brad Underwood, who literally walked off court before the buzzer — is also a not-so-inspiring development. By KenPom’s rankings (which, it should be noted, are not super reliable at this stage in the season because they still incorporate stats from last year until the sample size from 2017-18 is larger), Illinois’ strength of the schedule is 343... out of 351. 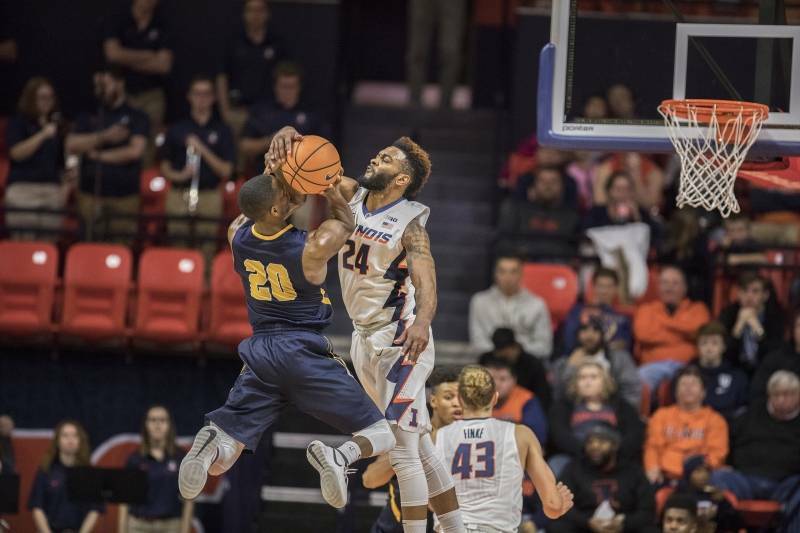 Simply, the level of competition the Illini have faced is just not very high; NC Central ranks 285 in KenPom’s metrics, Augustana doesn’t merit a ranking, Marshall is 203, DePaul is the high-water mark at 125, UT Martin is 274, and Southern is 331. 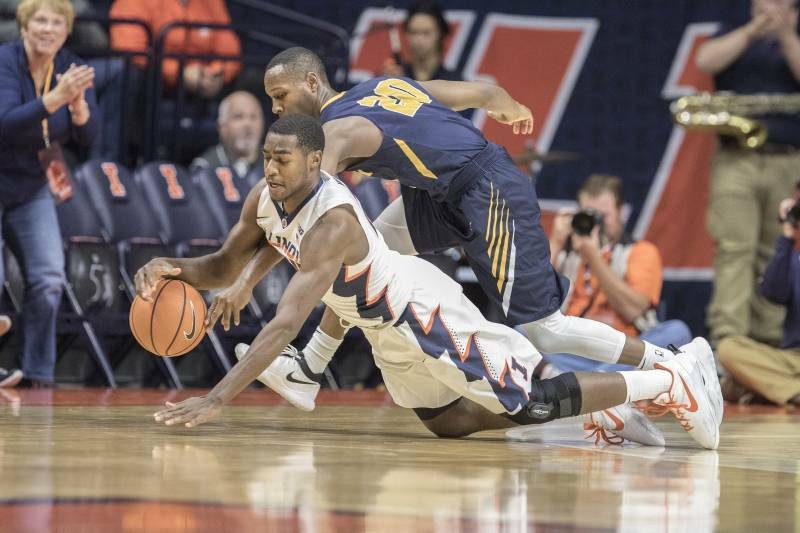 No matter the competition, individual Illini are off to solid starts. 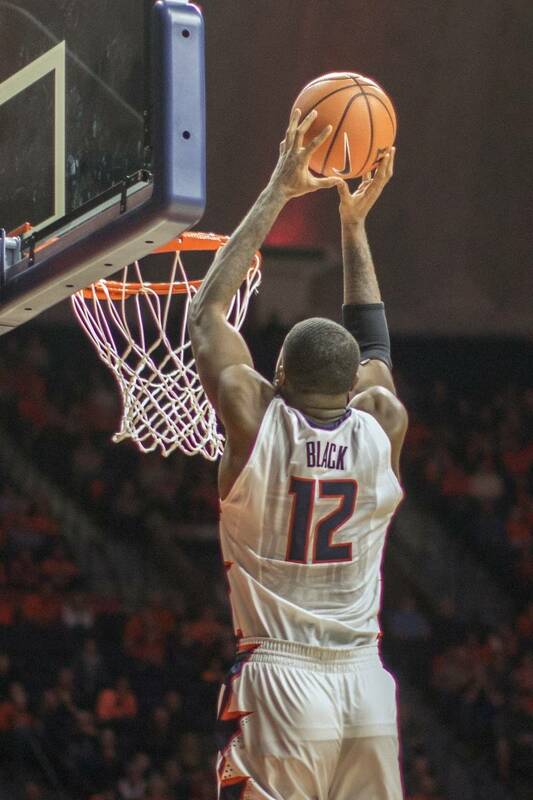 Leron Black and Finke are running the team the way they are needed to, as the elder statesmen, averaging 14.8 and 14.7 points per game, respectively. 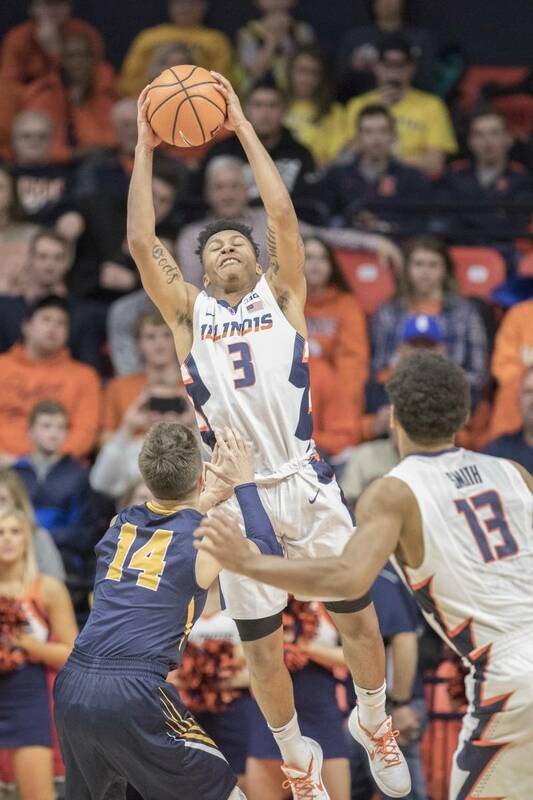 Likewise, rookies Mark Smith and Trent Frazier look every bit the players they were hyped to be in high school, putting up 12 and 7 points per game, respectively. The biggest surprise, surely, has been the emergence of Jordan. As a junior, the oft-forgotten man last year has been a revelation, averaging 11.8 points, 4.3 rebounds, and turning the ball over just 3 times in 6 games. The only way for those numbers to truly be impressive, though, is if they remain steady when real, tough competition begins. And because the Big Ten Tournament was moved to New York this year, thus facilitating an earlier time slot and reshuffling of conference games, tough competition begins this week. After facing a good, probably not great, Wake Forest team in the Big Ten/ACC Challenge on Tuesday, Illinois will get a first taste of conference action with Northwestern on Friday and Maryland on Sunday. KenPom ratings for opponents this week increase on a practically logarithmic scale: Wake Forest, 80; Northwestern, 50; and Maryland, 37. Looking at the Big Ten, at first blush it seems to be a down year for the conference. Northwestern, for instance, is 3-2 with losses to Creighton (who is very good and the game was close) and Texas Tech (also good, but this was a blowout, 85-49). 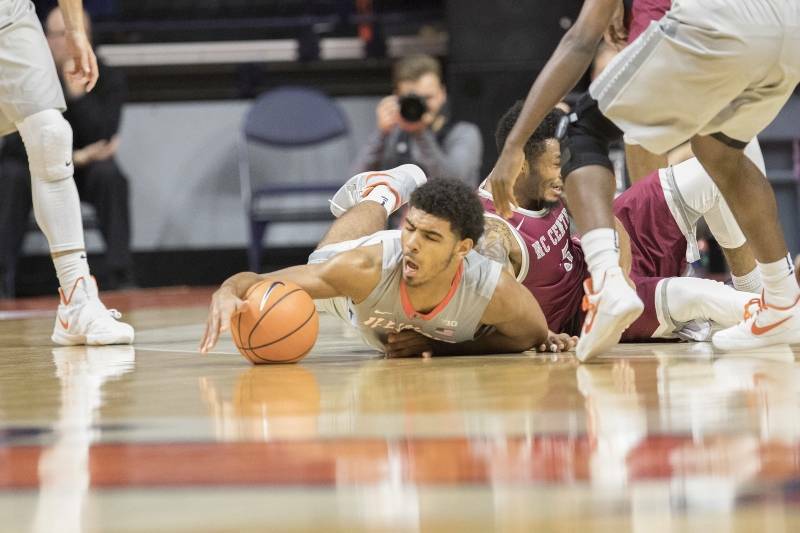 Maryland (6-1) is not blemish-free, either, as the Terps dropped a neutral-site game to St. Bonaventure (who is maybe better than you think, but still not Maryland level). The odd losses from Northwestern and Maryland in nonconference play are representative of the Big Ten writ large, as Purdue has picked up a pair of losses against Tennessee and Western Kentucky, Wisconsin dropped 3 games consecutively for the first time since 2001, Indiana lost at home to Indiana State and on the road at Seton Hall, and Iowa blew consecutive games to Louisiana and South Dakota State. 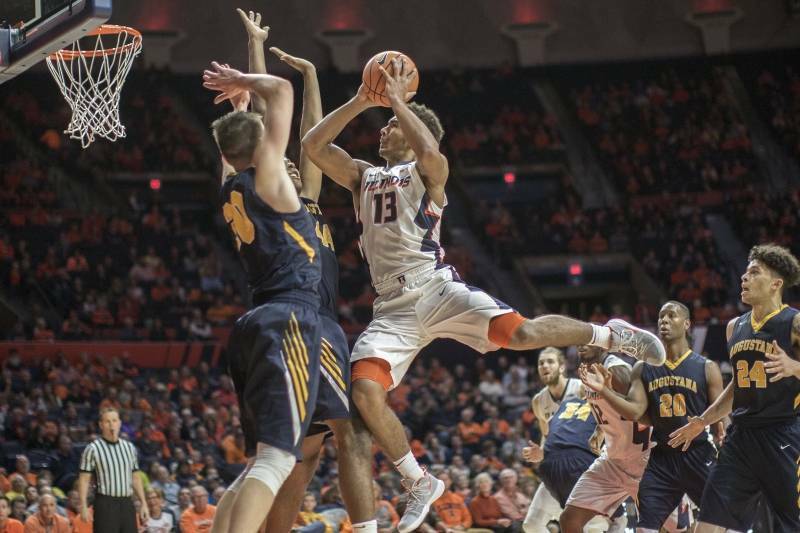 A down year for the conference bodes well for the rebuilding Illini, offering Underwood a chance to fight for a middle-of-the-pack finish in a year with low expectations. 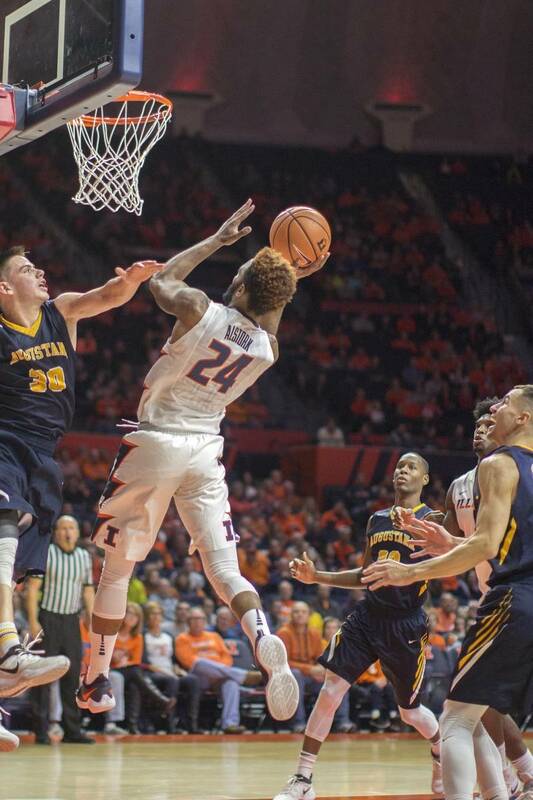 But is conference play going to offer Illinois the chances to exceed expectations? If we pick on Purdue (because they should be picked on, whether they’re our publisher’s favorite team or not), we see that Western Kentucky had a higher field goal percentage (.509) and made more threes (16) than Illinois has in any single game this year. Iowa also deserves to be picked on, but against South Dakota State the Hawkeyes shot better overall by percentage (.509) than Illinois has this year and the Jackrabbits had more steals (9) than Illinois has had against any D-I opponent (they had 13 against Augustana). Of course, this is cherry-picking. 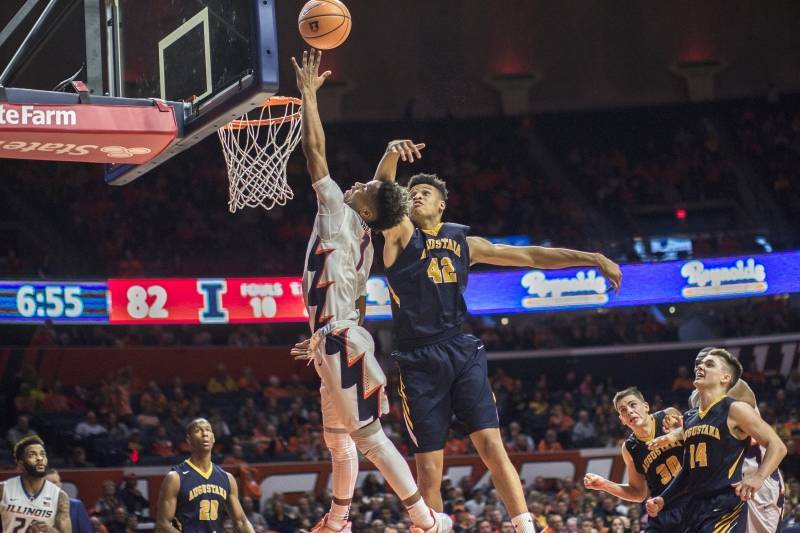 Illinois, in individual games and on average, has done many things better or worse than any Big Ten team in either wins or losses. 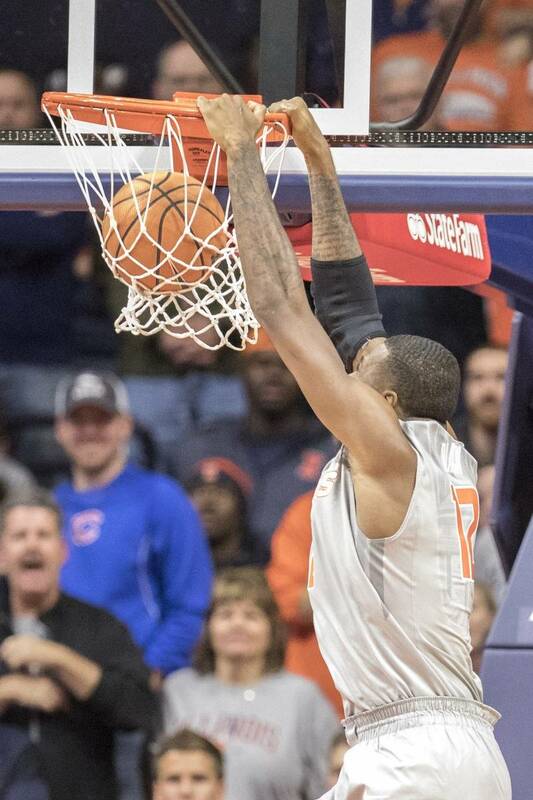 I could recite statistics to make a point for another few hundred words, but we’d be no closer to fully understanding how Illinois will fare against Big Ten opposition. What we don’t know rules the day. Does the 12 assists Te’Jon Lucas dished against Augustana and NC Central mean he’ll have similar numbers versus Northwestern and Maryland? Can Finke score 20 regularly in conference play? Can Mark Smith go 12/12 from the free throw line again? 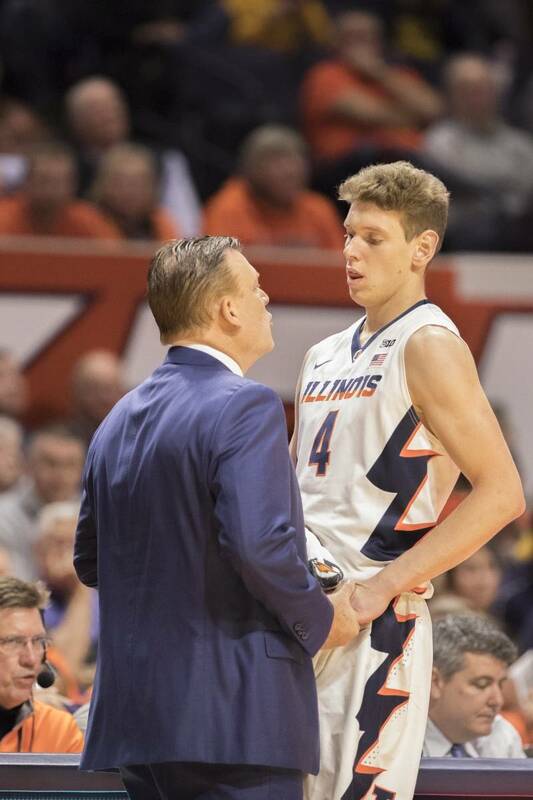 After this week, Illinois’s strength of schedule rating will not be in the bottom 3% of all college basketball teams, that is guaranteed. After this week Illinois may not have a perfect record, either. 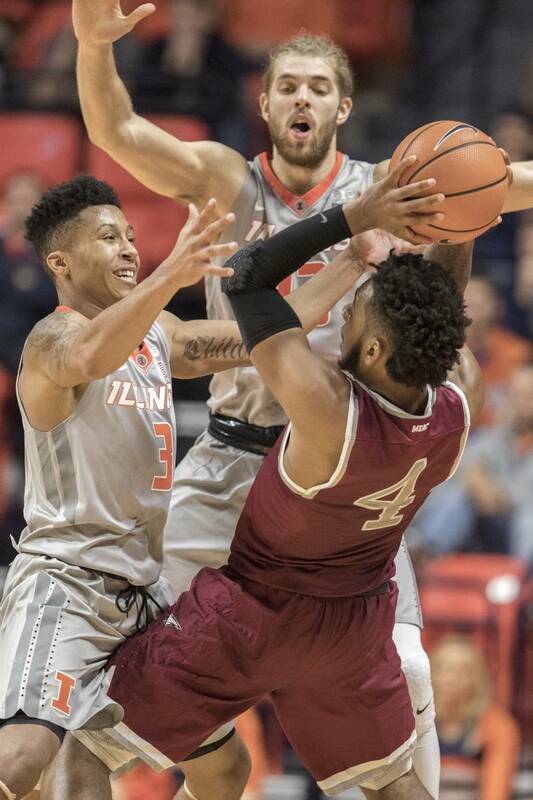 There will be some more gimmes on the schedule later on (e.g., Austin Peay, December 6th, #299 by KenPom; Longwood, December 13th, #343), but the true test of what this Illini team comes early this year. Buckle up.